If you were expecting to read about ShoreTel, Cisco, or Avaya, you’d be wrong. While these are “VoIP” systems, I’d like to draw some attention to the new world order of IP telephony. It’s no secret that the big names in VoIP (mentioned above) are suffering, and it’s all thanks for a little piece of software called Asterisk. Not to discount the contributions of Freeswitch, but Asterisk is, go here for a little background. Many have harnessed Asterisk to create some pretty great turn key solutions. Below are my top 3 recommended Asterisk systems from years of deployments and obsessive tinkering. Behold, my shortlist. Previously the 6100 series; this appliance based IP PBX is a light weight, small (desktop/shelf mount, and 1U rack mounted) appliance that offers a range of 30-100 concurrent calls, depending on the model. The fact that this is PoE powered, and has built-in FXS and FXO is huge. The interface is excellent, and is genuinely intuitive. This appliance demonstrates that VoIP isn’t exclusive to specialists in that field, and can be integrated into existing environments by network, and system admins alike. This has always been a huge favorite of mine, which largely has to do with the company that makes it. Grandstream is endlessly innovating, and improving their product lines. It requires very little maintenance, and is a reliable performer. I personally have never seen one have a physical component failure. For those of you who prefer to pay a one time capital expenditure, this might be a system you should strongly consider. With that said, it’s priced to sell! Check them out here. 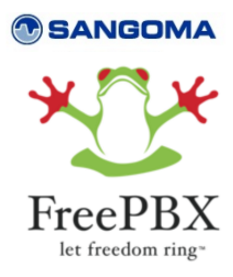 It would be astoundingly foolish not to include FreePBX on my top 3 list. It’s probably the most recognizable name is regards to its ties to Asterisk and open source VoIP. What you may not realize is that it’s a fully matured enterprise ready PBX. It’s also one of the most versatile platforms that can be easily deployed on an appliance like VoIP Supply’s Renegade PBX, Sangoma’s own appliance, or virtualized on Hyper-V, or VMWare. FreePBX goes down in my book as the best “bang for the buck” in that there is no cost to have a fully functioning system. There are additional commercial modules that make life better, but aren’t required to make it work and there is no imposed limitations. Its integration with SIP Station also makes it an attractive solution. Filling out a short form in FreePBX’s web interface will have you calling out, and receiving calls in just a few minutes. Digium excels at user interfaces, and also bells and whistles. The user interface is designed to be used by humans, and never really becomes overwhelming to non-VoIPers. Speaking of bells and whistles, Switchvox’s Switchboard is monumentally amazing, and useful. The Switchboard has been around for a while now, but is much improved with Switchvox version 6.X and is a feature that really sets this system apart. Seriously, check out the demo video. Generally, Switchvox makes life better in a call center environment and really hardnesses Asterisk’s potential. They should though, because they created it. 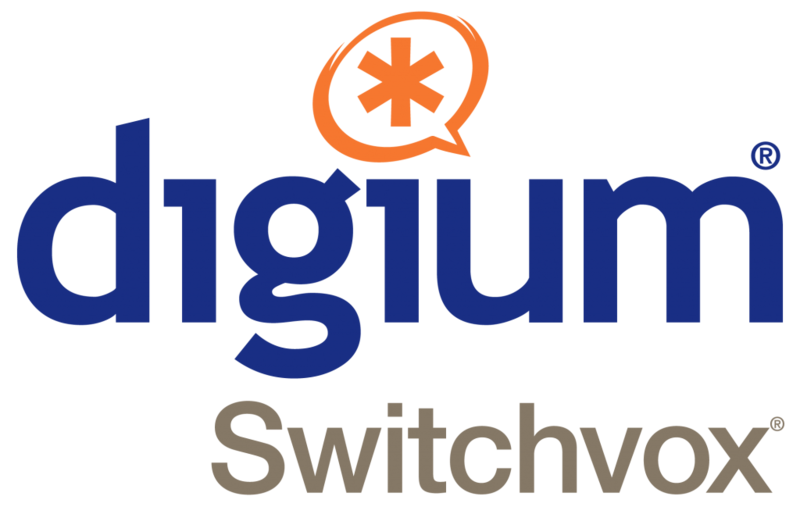 Aside from the Switchboard, the biggest differentiator for Switchvox is how you build IVRs, or auto attendants. Instead of defining a destination for a keypress (as with most systems), you build sequenced actions and functions allowing you to create a very capable menu structure. Of course, Asterisk (on other platforms) gives you the ability to create infinitely configurable IVRs through scripting, but Switchvox gives you this functionality through its web interface. Honorable Mentions: Keep an eye on these. Ombutel is a derivative of Xorcom’s iteration of an Asterisk based platform, and it’s great. The user interface is clean, makes sense, and it supports FOP2 (flash operator panel). As with FreePBX, Ombutel is 100% free and virtualizes nicely. It is however still a little lacking in features when you compare it to FreePBX, and out of the box support for certificates is non-existent. I would like to see a self-signed certificate out of the gate at the least. Because of this, installations should be limited to on-prem. However, they are constantly adding features and fixing bugs. A major differentiator for Ombutel is their Class of Service (CoS) feature. This allows administrators to finely restrict or allow access to parts of the phone system from internal extensions. Normally, this is a features you’d have to pay for with other systems. Ombutel has a very active online community and are constantly receiving and replying to feedback. If Xorcom keeps this product alive, I expect it to do well. Wazo, formally Xivo, is another 100% completely free system that is also feature-rich, but has a rare High Availability feature right from the get-go. High Availability is typically an expensive add-on, and that makes Wazo a really interesting product. Wazo is the most rough around the edges system in this list, but it has a lot of potential. Before it was Wazo, I found Xivo easy to install, but since they’ve gone through some changes, I haven’t been able to get Wazo to behave correctly when virtualized. I found it to be very buggy and dysfunctional. With that said, I am looking forward to the future development of Wazo. It’s very much a PBX un-plugged. If it were a car, it would be a driver’s car.